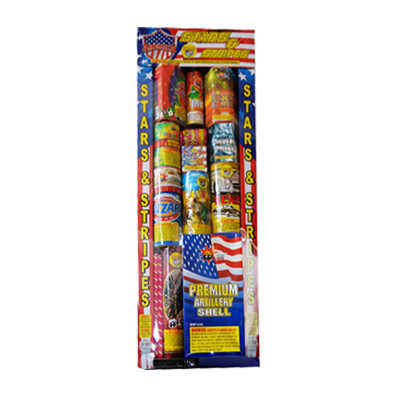 Stars and Stripes – An assortment of fountains, snall cakes and even some artillery shells. Bone Shaker - This massive assortment includes 18 cakes and 66 different shells! The King - An assortment with over 20 different items from small foutains, small aerial items to artillery mortars. Dazzler - Safe and Sane assortment with over 40 fuses to individually light.